The coming year will be an opportunity to drive better continuity of care for mothers-to-be, England’s most senior midwife says. 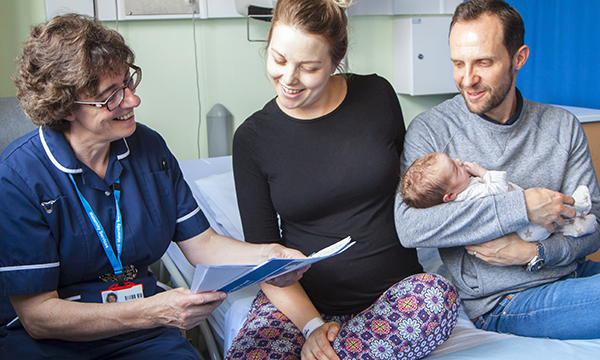 NHS England has issued new guidance to ensure more consistent care and support for pregnant women, including a named midwife, before, during and after birth. The organisation estimates continuity of care could reduce the number of babies born prematurely by nearly 25%, reducing the risk of long-term problems. NHS England head of maternity, children and young people Jacqueline Dunkley-Bent said: ‘All local areas now have a blueprint to provide continuity of care for mums-to-be in line with our ambitious national targets. The announcement comes after NHS Improvement issued figures showing there were 276,767 mistakes reported by maternity care services in England between April 2015 and March 2017, including 288 that resulted in death. Team continuity – individually assigned midwives, who work in a team in which members work as backups to each other. Full case loading – each midwife is allocated a certain number of women and arranges her work to match the caseload. The new guidance also highlights the need for an obstetrician who the midwife can call for advice and to plan obstetric care. It refers to areas of the country that are trialling new ways of providing maternity services, such as in Waltham Forest, London. NHS England said the north east London pilot scheme – run by a social enterprise organisation – has ensured 80% of women giving birth know their midwife, as opposed to the national figure of 12%. The Royal College of Midwives welcomed the guidance, calling it a 'very positive step'.